Valentine’s Day is a boon to restaurants, retailers, flower shops, online dating sites – and cyber hackers. That’s because consumers’ defenses are down, as they search for great deals on gifts for loved ones – or seek to start a new relationship online. As a result, company networks, from mid-market B2B enterprises to small and medium-sized businesses (SMBs), can be compromised. SMB companies: As employees surf and shop online, they put themselves at risk to opening phishing emails, engaging with infected greeting cards and clicking on malicious advertising. One of the greatest threats is online dating. Last year, more than 30 million dating spam emails were sent every day from 950,000 different IP addresses. Attackers sought to start online relationships with their targets to solicit compromising photos for blackmail or personal information for identity theft and fraud. In addition, mainstream dating websites like Match.com and PlentyOfFish have been top targets for malware advertising, and “love bots” seek to encourage users to converse and provide payment information. Finally, online greeting cards which have gained in popularity, can download malware onto employee machines when opened. What you can do: Companies can educate their employees about the danger of clicking on unknown links and sharing personal information via email and the internet. However, users are not cybersecurity experts. In addition, threats today are increasingly sophisticated and seem like legitimate services. Businesses can protect their networks from phishing emails, an overload of spam, and malicious advertising with a cloud-based email security solution. To take it a step further, businesses can protect their network from internet threats and malicious internet downloads by deploying a DNS web filtering solution to block employees from visiting fake websites, as well as distracting sites they may be visiting before Valentine’s Day. Retailers: Retailers, who send legitimate marketing emails and have website offers, can be spoofed. Consumers who shop online may be lured into clicking malicious links in emails that seem to be offering great deals and then providing personal and payment information on spoofed sites. In addition, cyber attackers can harvest credentials on retail websites, as customers place orders. Everybody loses, since private or corporate networks can be exposed, consumers risk losing money due to fraud, and retailers experience reputational and business harm. What you can do: Retailers should protect their business—and reputations with a strong defense. Businesses can protect their website from malicious activity with a strong website security solution. Businesses will be able to scan and remove website threats before they harm their business and their customers. Restaurants: Restaurants are vulnerable to point-of-sale (POS) diversion with payment tablets. While credit card risk engines can easily shut down employee skimming, it is much harder to detect remote hacking. Cyber criminals can infiltrate POS software remotely, taking over systems and stealing consumer data. A successful intrusion into a kiosk device could be the foothold a hacker needs to make a hop or two into the POS and begin exfiltrating credit card data. As we have seen from past hacks, these attacks can last for months or even years before being detected. 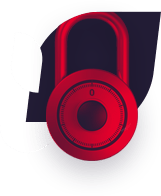 What you can do: Businesses can protect their devices and customers’ sensitive information with a strong application security solution. 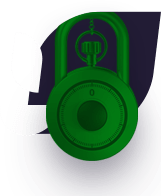 These solutions protect critical applications from malicious attacks by wrapping them in a secure container where they cannot be harmed. Don’t let hackers create a Valentine’s Day massacre in your company’s network—and business. 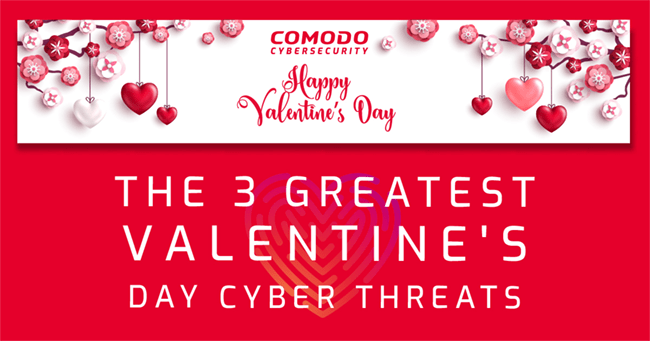 Test your company’s vulnerability before Valentine’s Day here: How secure is your network against internet-based attacks?